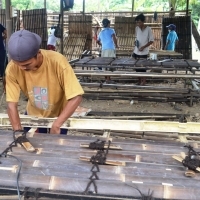 Browse panels suppliers by country and region. Suitable for Landed Housing Suitable for Vertical Buildings EPS Sandwich Panel in Warehouse Fire Endurance Test in a furnace Weight of each cement bag is 50 kg (nett) Brief Product Profile We are experienced for more than 10 years since 2004 in producing, constructing building with our EPS Sandwich Panel. 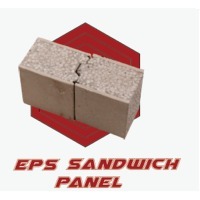 Our EPS sandwich panels are used in wall, floor, facades, and also building space. Short on time? Let panels sellers contact you. Guangzhou Ruiju E-commerce Co., Ltd.
1) 1 Series Pure Aluminum Panel The commonly used code of Pure Aluminum panel series has: 1050, 1060 and 1100. Pure Aluminum panel Series is the most aluminum content in all aluminum panel series, purity can reach 99%. Because it is not contain other technology, so the production process relatively single, price will relatively cheaper than other aluminum panel series. Also it is the most conventional use series in industry nowadays. Most of circulation series in the market is 1050 and 1060. 2) 2 Series Aluminum Alloy Panel 3) Representative is 2A16 (LY16) and 2A06 (LY6). The features of 2*** aluminum alloy panel series is the hardness is higher than other aluminum panel series, itâ? ?s because it has 3-5% copper content, much higher than other aluminum series. So that 2*** series normally used as aviation aluminum material, not frequently use in common industry. 3) 3 Series Aluminum Alloy Panel 4) Representative is 3003, 3004 and 3A21. The main components of 3*** series aluminum alloy panel is manganese element, it contains 1-1.5% manganese element in aluminum alloy panel, so the advantage of this series is it has a good Anti-rust function. Conventional used in wet environment like: air conditioning, refrigerator and vehicle bottom. Although price is higher than 1*** series, but it still commonly use in Alloy series. 4) 4 Series Aluminum Alloy Panel Representative is 4A01. The main components of 4*** series aluminum alloy panel is silicon content, it contains 4.5-6% silicon content in aluminum alloy panel. Conventional used in building materials, mechanical components, forgoing materials and welding materials because its low melting point and good corrosion resistance. 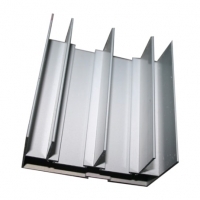 5) 5 Series Aluminum Alloy Panel Representative is 5052, 5005, 5083 and 5A05. 5*** Series belongs to one of the most common use aluminum alloy panel series, mainly element is Mg, magnesium content is 3-5%, so it is also called: Aluminum-magnesium Alloy. The features of 5*** series is: low density, high tensile strength and high elongation. Aluminum-magnesium Alloyâ? ?s height will lower than other series when in the same area, so it is very common use in aviation such as aircraft fuel tank. It also widely use in regular industry. The processing technology is continuous casting and rolling, which belongs to the hot-rolled aluminum sheet series so it can be used for deep oxidation processing. In China, the 5*** series aluminum panel is one of the mature aluminum panel series, so the effect of making brush will very good. 6) 6 series Aluminum Alloy Panel Representative is 6061 and 6063, mainly element is Mg and Si, so it both have the advantage of 4*** series and 5*** series. 7) 7 Series Aluminum Alloy Panel Representative is 7075, mainly element is Zn, belongs to aviation series. Technology: Aluminum Extrusion Normal Anodizing thickness: 8-12 micro Normal Power Coating thickness: 60-100 micro Material: Aluminium Alloy 6063, 6063A, 6060, 6061,6005 Temper available: T4, T5, T6, etc. Characteristic: 1, electrophoretic coating can be fully mechanized, automated, not only reduce the labor intensity, but also greatly improve the labor productivity, suitable for a large number of pipeline operations. 2, electrophoretic coating high rate of lysis in the water completely dissolved or emulsified, prepared into the bath viscosity is very low, it is easy to penetrate into the bag-like structure and the gap, especially for the special-shaped conductive material surface coating Installed. 3, the electrophoresis bath has a high conductivity, the coating ions in the electric field under the action of rapid swimming, in the coated surface is neutralized after the formation of electrical neutral wet paint film, with the wet film thickening resistance increased large, the amount of paint particles deposited gradually become smaller, thus forming a uniform and delicate coating film. 4, the use of high paint, up to 95% or even 100%. Due to the low solid content of the bath, the viscosity is small, the coating is brought out less paint, especially the application of ultrafiltration technology, the implementation of the coating process closed cycle, the paint recovery rate is high. 5, the coating of anti-corrosion ability, electrophoretic coating due to the role of the film in the electric field evenly, so the use of electrophoretic coating method can make the workpiece cavity, weld, edge corrosion resistance significantly improved. 6, electrophoretic coating solution is low, one is conducive to environmental protection, the other is the production of good security. Model:	X150 Thermal Conductivity W/(m.K):0.028 Compressive strength (kPa):	200 Nominal Density (kg/m3): 26-28 Fire behavior:	Class C Oxygen Index (%):	27.4 Applicable temperature:	227;C Size (mm):	1200*600*50 Surface:	Smooth planing Edge:	Flat Key Features: 1; Able to resist repeated freeze/thaw cycles 2; High density, tough and durable, not easily damaged 3; Dimensionally stable, cryogenic secondary foaming 4; Flame-retarded, light weight, thermal bridge breaker, easy to install 5; ECO, ODP, GWP: zero Ozone Depletion Potential, low global warming potential, the 1st manufacturer which uses CO₂ foaming technology in China, each piece of insulation board dedicates love for global environmental protection causes. Application: Insulation & Energy-saving for roof, floor and walls. Properties: Model:	X250 Thermal Conductivity W/(m•K):	0.023-0.028 Compressive strength (kPa):	250 Nominal Density (kg/m3):	31-32 Fire behavior:	Class E Oxygen Index (%):	27-33 Applicable temperature:	Minus 50¡ãC-Positive 75¡ãC Max. Size (mm):	2400*1200*150 Surface:	Smooth planing, embossing & slotting, peel removal Edge:	Flat, lap joint, tenon, rain gutter Key Features: Ø Able to resist repeated freeze/thaw cycles. Ø High density, tough and durable, not easily damaged. Ø Dimensionally stable, cryogenic secondary foaming. Ø Flame-retarded, light weight, thermal bridge breaker, easy to install. Ø ECO, ODP, GWP: zero Ozone Depletion Potential, low global warming potential, the 1st manufacturer which uses CO₂ foaming technology in China, each piece of insulation board dedicates love for global environmental protection causes. Application:	Heat preservation & insulation for building, floors, parking platforms, and other moisture-proof insulation etc. As required. Detailed introduction to XPS Board-X300: Our Corporation introduces the most advanced automated production lines all over the world. The computer pre-stores thousands of process parameters, equipped with full automatic control of various processes, automatic fault inspections and diagnosis closed recycled material processing system, various plate on-line automatic control and adjustment, the programs above are under network control by three country expert groups, which solves the quality non-stability phenomenon caused excess operators. Properties: Model: X300 Thermal Conductivity W/(m.K):	0.023-0.028. Compressive strength (kPa):	300. Nominal Density (kg/m3):	32-35. Fire behavior:	Class E. Oxygen Index (%):	27-33. Applicable temperature:	Minus 50¡ãC-Positive 75¡ãC Max. Size (mm):	2400*1200*150. 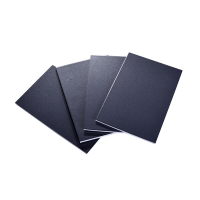 Surface:	Smooth planing, embossing & slotting, peel removal. Edge:	Flat, lap joint, tenon, rain gutter. Application:	Heat preservation & insulation for building, floors, parking platforms, and other moisture-proof insulation etc. Key Features: Ø Able to resist repeated freeze/thaw cycles. Ø High density, tough and durable, not easily damaged. Ø Dimensionally stable, cryogenic secondary foaming. Ø Flame-retarded, light weight, thermal bridge breaker, easy to install. Ø ECO, ODP, GWP: zero Ozone Depletion Potential, low global warming potential, the 1st manufacturer which uses CO₂ foaming technology in China, each piece of insulation board dedicates love for global environmental protection causes. As required.